The quietness and calmness of night have always facilitated the formation of love stories. Usually, days are hectic and full of chaos making one tired enough to forget everything. The only thing one wants to get during day time is peace of mind and a lot of rest. At night, the lovely environment covered with the blanket of beauty and calmness rejuvenates us. 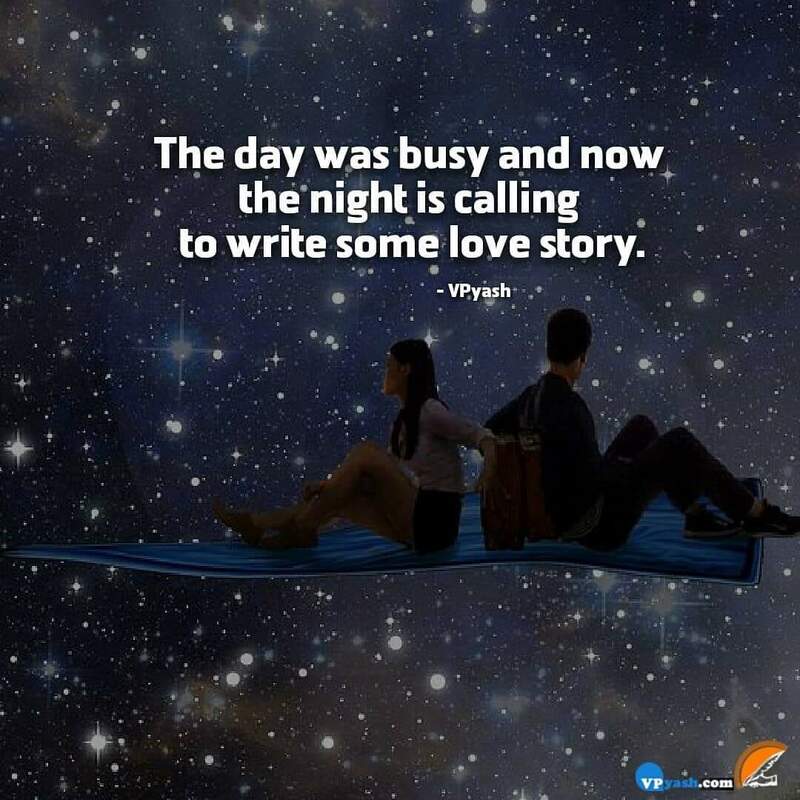 So, the night is here to give us the precious chance of writing our love story. Let's carve a beautiful story by getting to know each other better than before and let's give this romantic night a chance to intensify our relation.